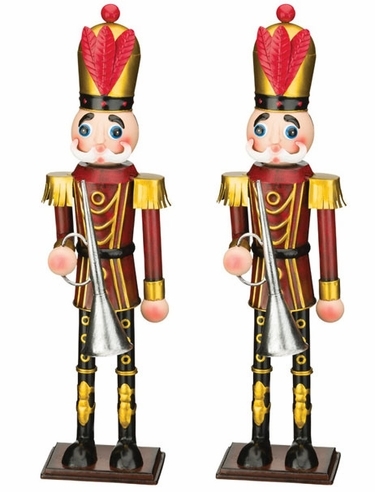 Bring the magic of Christmas to life a pair of nutcracker style 19" Toy Soldiers wearing antique red jackets each holding a pewter horn. Featuring impressive craftsmanship with meticulous attention to detail and unique finish. Showcase two or more sizes together for added charm.